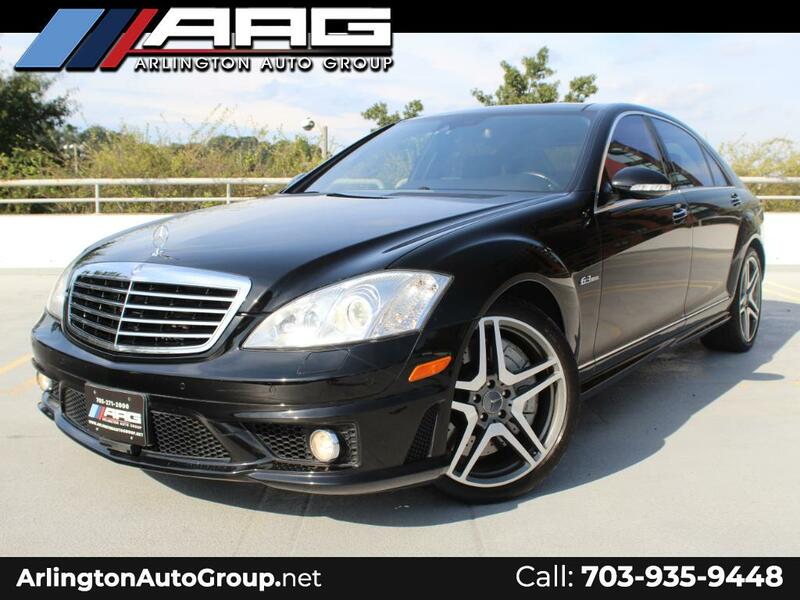 Rare example of a 2008 Mercedes Benz S63 AMG Fully Optioned!!! This Vehicle is equipped with 6.2L V8 Engine pushing 518 HP & 465 Lb-Ft Torque!! This particular S63 AMG is set with Full Piano Black Designo Interior and is optioned with Night Vision, Alcantara/Suede Rood, Panoramic Sunroof, Premium Sound System (Harmon Kardon), K4 Radar Detector, Power Trunk, Braking Assist, Paddle Shifters, Navigation, Back Up Camera, Bluetooth, Auxiliary Input, Heated & Cooled Front & Rear Seats, Rear Seat Package (Recliners), Massage Seats, Rear Power Sunshades and much more!!! The Vehicle has passed a rigorous MULTI-POINT INSPECTION and reconditioning process before being offered for sale. You will be completely satisfied with its quality. We strive to give every vehicle a thorough inspection and can tell you with confidence that the structural integrity of this car exceeds the highest standards. With confidence we can assure the comfort gained from this car's unadulterated interior will be unmatched. Every major mechanical system has been inspected and found to be in good working order. This car and most every car we sell comes with a STANDARD WARRANTY that covers the drive train and more. We want you to be completely satisfied with your purchase so we offer an optional extended warranty at a very affordable price. Just ask for the details. Want a new car? Have bad credit or no credit? Not a problem! We here at Arlington Auto Group offer GUARANTEED FINANCING on our inventory and will get you approved for this car. Let us make your car buying experience a little easier by getting you the lowest monthly payment possible. We believe in saving our customers money. That's why this car has been set below the BLUE BOOK value to help! !